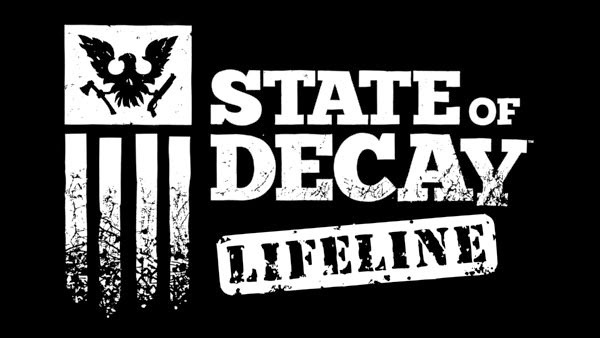 Being Instantly dropped In to a sense of hopelessness was exactly what I was expecting from the new DLC of Undead Labs franchise, State Of Decay. Almost like a zombie virus its self, State Of Decay has spread across the gaming world without remorse, taking every zombie gaming fan by the neck and Injecting In to your veins exactly WHY this franchise has been a breath of fresh air from the almost tiresome Zombie Shooter genre that seems to be plaguing the gaming world. Lifeline Is a completely new vein of play away from the vanilla release and first expansion, Breakdown. The base game being a linear story of survivng and accumilating resources while making game changing differences to make life that little bit harder. Breakdown Is a more sandbox approach to the apocalypse as you band together with survivors you find along the way while searching for items to repair an RV as a means of your only way out of the valley, once you do the next valley you stumble upon becomes that little more difficult. Lifeline takes the approach from the less respected side of the Zombie Apocalypse...the military. Now the military are type casted, gun slinging, power hungry, meat heads in Zombie culture when it comes to games, movies, comic books etc so Undead Labs have decided to give these guys a break. After being instructed to find a downed chopper with survivors It's becoming too clear that this expidition Is going to be the toughest of the whole franchise. I could go on from here where the story line takes you but I hate reading reviews that ruin a good story, so I won't talk about It any further. Now, being part of the military that was deployed on the first few day's of the outbreak you can only assume that your unit Is absolutely armed to the teeth...which it is BRILLIANT!!!!! Slowly but surely your supplies are going to run rather thin and at an alarming rate which makes it your responsobility to get your team on scavanger runs for essential supplies and, as'well, stumbling across refugees who are being told by a person, uknown, via a radio broadcast that the Amry (you!) got scared and upped and left the whole city to fall to pieces, even more so than It already has...so of course It Is your duty to go rescue these people, bring them to the safety of your LZ and have them airlifted to a more secure location.